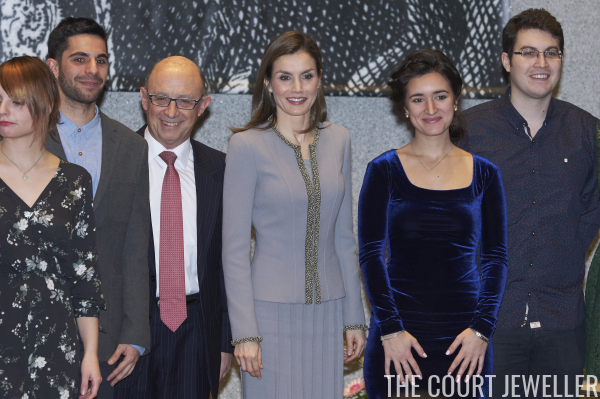 On Friday, Letizia attended the Tomas Francisco Prieto Awards in Madrid. 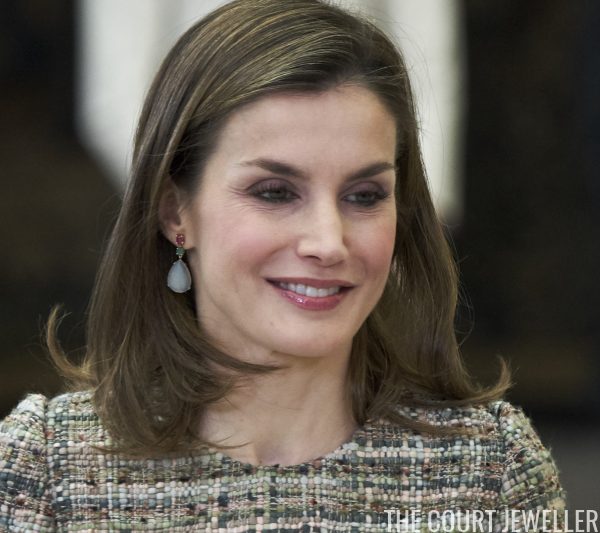 She wore her teeny diamond star earrings from Chanel for the event, which was held at the Casa de La Moneda. 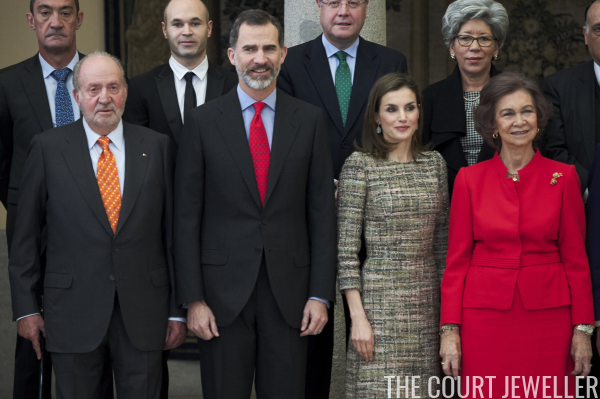 Letizia was joined by her husband, King Felipe, and his parents, King Juan Carlos and Queen Sofia, for the National Sports Awards on Monday. 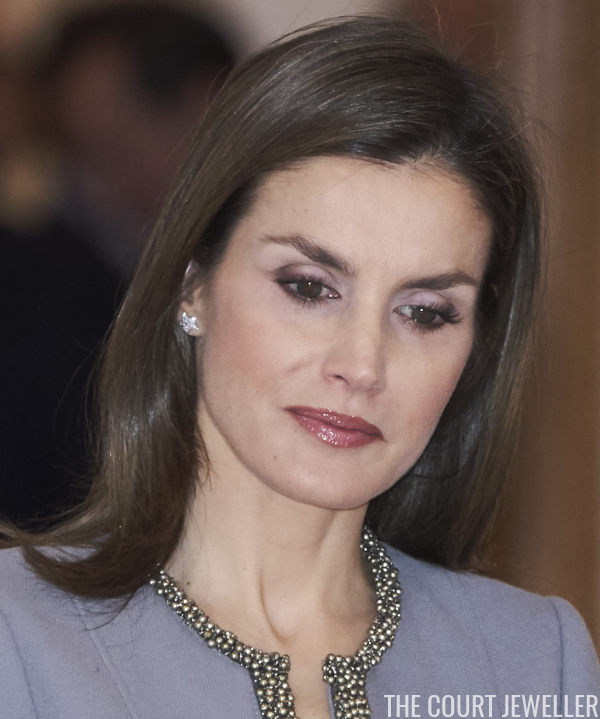 For the awards, which were held at El Pardo Palace, Letizia wore her Tous ruby, emerald, and moonstone earrings. 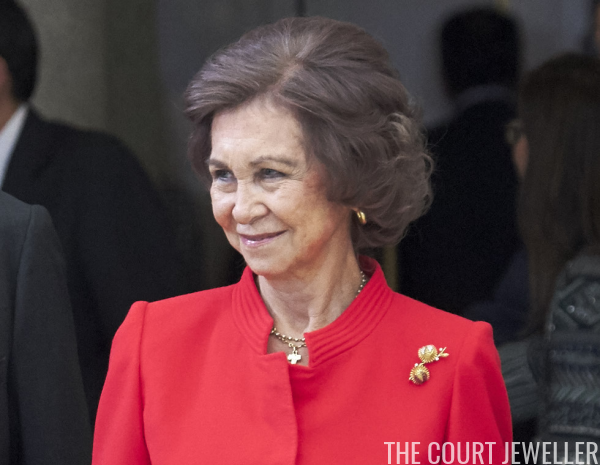 Queen Sofia chose golden jewels, including hoop earrings, a necklace, and a brooch, for the event. 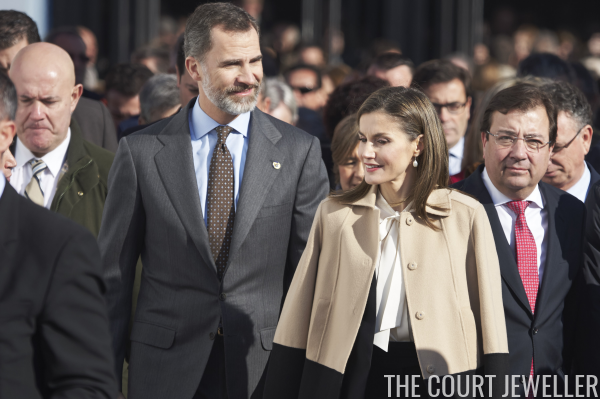 Felipe and Letizia were on hand for the Agroexpo Agriculture International Fair in Don Benito on Wednesday. 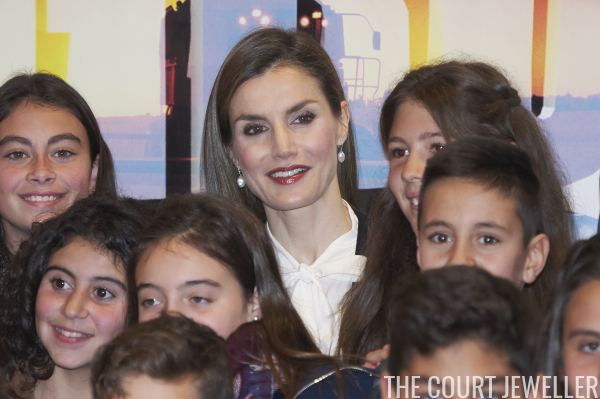 Letizia selected her natural freshwater pearl drop earrings from Tous for the fair.